Celtic tunes to contemporary covers, klezmer to country. 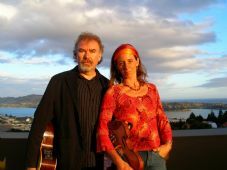 Catgut and Steel is the contemporary folk duo or 5 piece folk-rock and ceilidh band fronted by Mike Moroney and Anna Bowen. 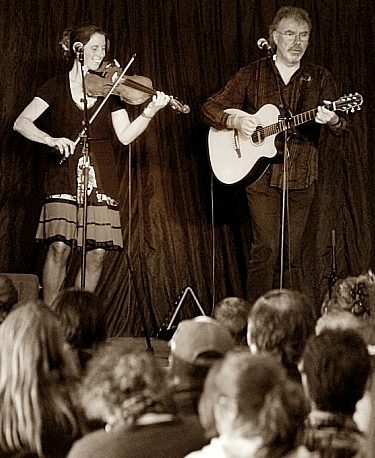 They have played all over New Zealand and Europe for more than 7 years at festivals, concerts and pubs. Based in the South Island, Mike is an expert dance caller with many years experience and will have people up and on the floor and mixing quickly and easily – ideal for weddings and anniversaries. Themes include: Irish and/or Scottish, Country, Colonial (bush) or straight ahead comfortable covers.